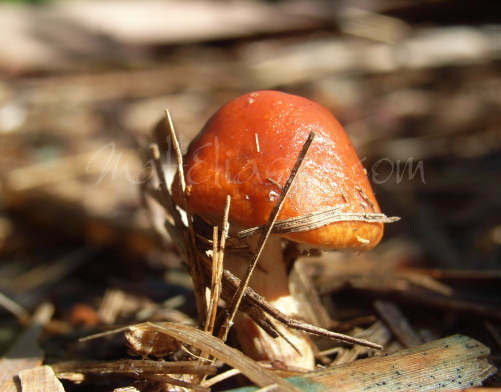 Thrusting its way through straw mulch, this determined tiny mushroom makes a statement about reaching its goal. Short-lived, the cap will open and turn dark brown before the sun sets. 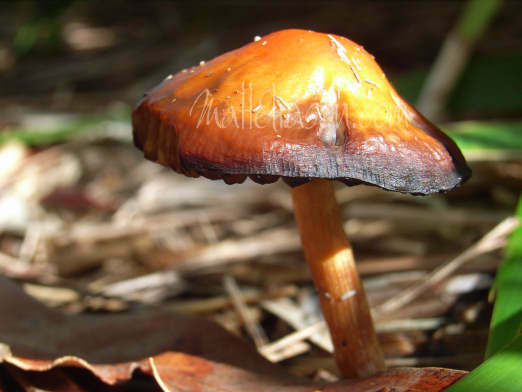 The next rain will see more orange fungi emerge for their brief exposure to the ‘topside’ world. This image provides a delicate yet striking glow suitable for many hanging opportunities around the home or office. This image is proportioned for a 14 x 11 inch print, or larger. It lends itself to also being cropped for a portrait orientation. Then click Checkout tab at top of page. Emerging after rain and lasting only a day, these small mushrooms are found in the garden beds of the parks near my home. Even though this image was captured just a few hours after sun-up, already the cap is showing signs of age, which adds to the feeling of delicacy. This image is available for digital download without watermark, ready to print. I also have a professionally mounted copy, on 3mm foam core backing and 2 1/4” wide black mat with white core – 18 1/4 x 15 1/2” dimension, ready for framing. Please contact me for pricing. The iconic tree for beaches north from the mid-north coast of NSW, Australia and across the northern tropical coastline, the pandanas is a hardy tree that tolerates beachfront locations. Providing a basic food source when specially prepared, the seeds of the tree are equally hardy. Turning a glowing orange when ripe, they drop to the ground where in many locations this is close enough for high tides to take the seeds for potential colonisation in far-flung places. 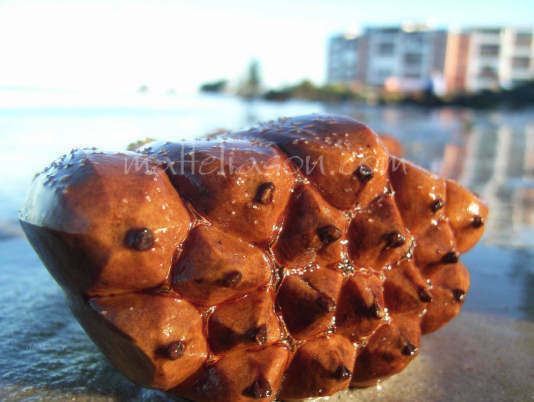 This particular fruit segment is washed by the high tide in Pumicestone Passage, Queensland. Image size 11×14 inches, but will print larger. $10 for private use only. These four sentinels rise from the water to offer protection for the the pond-side boardwalk. The image features a pleasing grain effect and makes an amazing feature when framed with white mat and black frame. Perfect for creating a strong visual element in any room. Image size 12×24 inches. $10 for private use only. 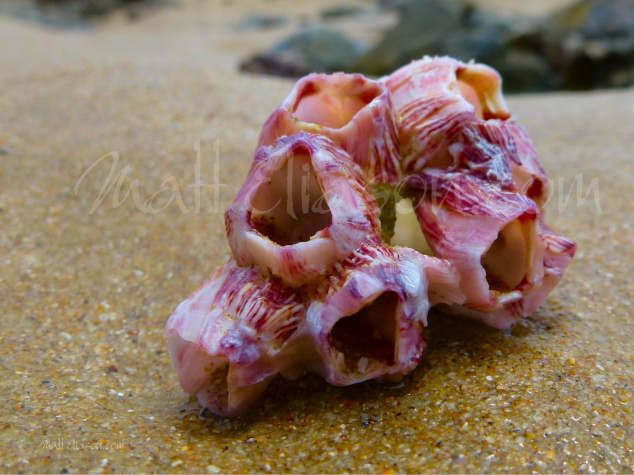 Creatures of wild and exposed rocks and also known to adhere to ships and whales, the discovery of of a barnacle ‘shell’ is an uncommon find. This example exhibits a pleasing range of pastel purples. It is the first in a series of Foreshore images. Image size 12×16 inches, but will print larger. $10 for private use only. 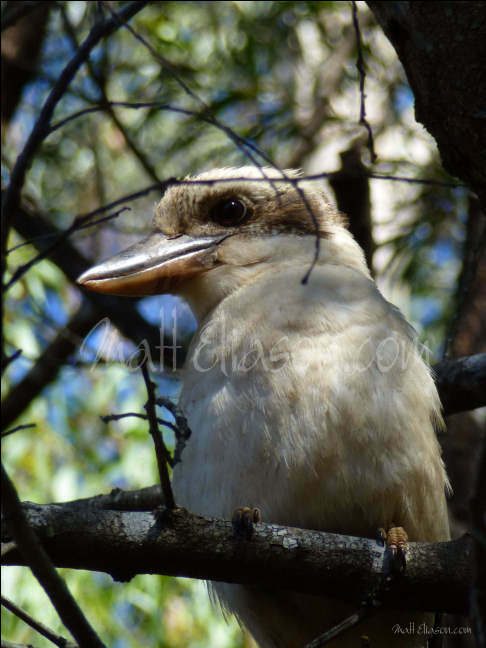 Almost as iconic of Australia as the kangaroo, the kookaburra forms a close link to the bush even in urban areas. At times, if you get close, they seem to connect with you, even across space and time through the magic of photography. If you want to connect, no matter where you are, now you can. Image size 18×24 inches. $10 for private use only. 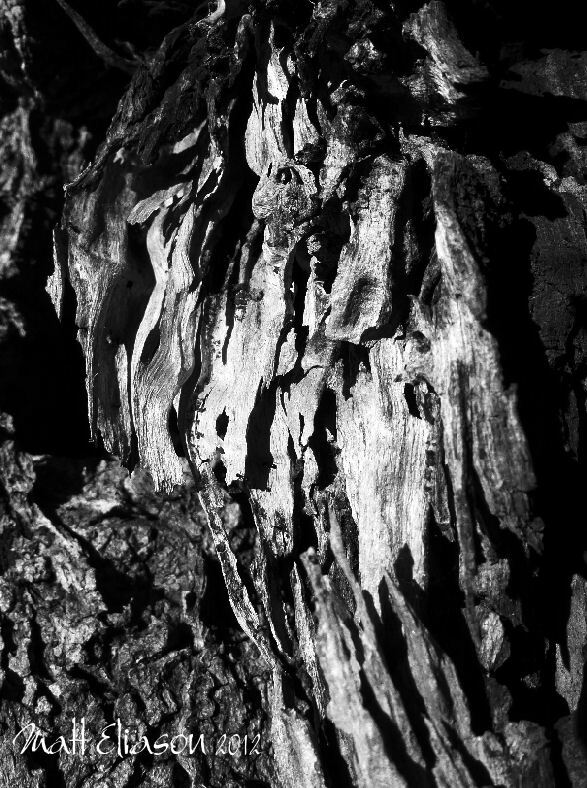 Wood is a great object to photograph. Often colours are the dominant appeal while at other times it is the texture of the wood itself that is the focal point. In the case of old and weathered wood the opportunity arises to highlight the ancient aspects of the timbers. Image size 12×16 inches. $10 for private use only. This image is available for digital download, ready to print. If you wish to purchase a framed or canvas of this image, please contact me.